Well, this is it. My third and final post in the #LakeDistrictSeries (you can read the other two here and here) - a handful of posts dedicated to getting away from it all and chilling the hell out. I'm absolutely a Lake District convert after this trip. I've always known its beauty but didn't fully appreciate just how lucky we are to have this unspoiled corner of the world on our doorstep - I can't wait to go back! 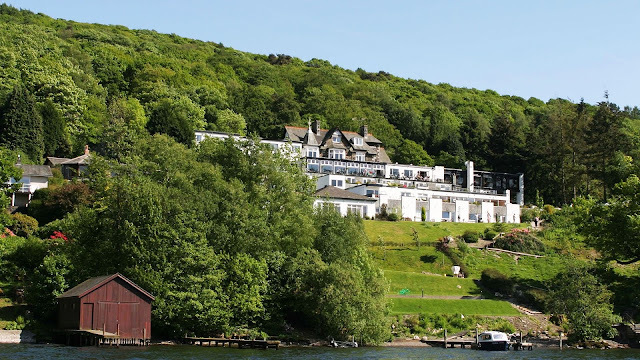 I'd left my last post just as we got in the car to drive back down to Windermere to the Beech Hill Hotel & Spa, a luxury hotel and spa on the water's edge. 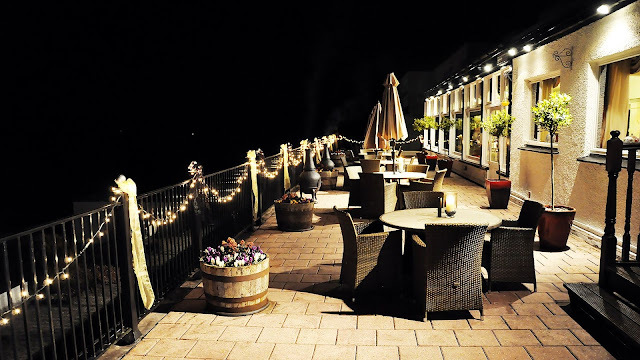 We arrived just as it was getting dark, which made the hotel seem even more luxurious, with the pool lights glinting in the moonlight and big pillar candles in the ornate bar and restaurant, welcoming us in. As much as hiking up a waterfall is relaxing and good for clearing the mind, you and I both know that sitting in a Jacuzzi watching the sunset over Lake Windermere is also pretty up there when it comes to chilled vibes. There were only two other people in the spa when we arrived, who happened to leave quite soon after we got there, meaning we got the entire pool and spa to ourselves. We spent about an hour and a half flitting between outdoor pool, sauna, steam room and main pool. It was absolute bliss; the sauna and stretching out in the pool worked wonders on my legs from the park run and Buttermere hike! The sauna was my favourite room by far. It was floor to ceiling gold stones which gave such an exotic feel to it, and I loved the idea of the glass wall looking out on to the pool. The original hotel itself is beautiful, a gorgeous house with gardens and terraces spilling down to the waterfront. I've taken these photos from the Beech Hill website as mine really didn't do the hotel justice! We were booked in to eat at 8.30 that night which came round really quickly, so we hurriedly got ready and made our way up to the restaurant. Wow. All I can say is that they really know how to do evening dining. First up, you're served canapes and drink of choice (g&t, obviously), in the bar area (if it was any warmer we would've been on the terrace with fairy lights I can tell you that - instead we sat on huge comfy sofas next to an open fire... bliss), whilst you peruse the menu. After we'd chosen our food, we were led to our table. There were lots of groups of people eating celebrating birthdays, and I think it would make a really good 'special' birthday restaurant. It's really no surprise that the restaurant is award-winning. The food was absolutely spectacular. This time, James and I really didn't want to share our courses they were that good. James went for mussels mariniere with garlic, herbs and chardonnay... served in a baked beef tomato. It sounds strange but it was delicious. We were then presented with our obligatory sorbet, to cleanse the palate before the main course (I told you, the Cumbrians love their sorbet). I went for crispy duck confit, with red cabbage, a gorgeously creamy mash and rich jus. The portion size was MASSIVE but I struggled on... leaving just an artichoke heart, which I'm not a fan of. James was on the lamb cutlets with fresh veg and a potato fondant, which tasted insane too. It was quite dark in the restaurant, so please excuse the photo quality in some of this pics! Rather like our stay in Keswick, I was so excited for morning to be able to pull back the curtains and see the view properly. It's so beautiful and calming to wake up to a view like that, and if I'm honest, the only thing that prevented us from having a massive lie in, as we wanted to go and explore! We wandered into Bowness on Windermere and had a good old potter (who doesn't love a little potter) around all the shops and looked in all the cafe windows, before walking down to the water's edge. We decided to go on a boat cruise to Ambleside, and tick another town off our Lake District list! Being outside on the boat was crisp and a little chilly, but the views were incredible and the autumn sun was out in full swing. Getting to Ambleside takes around half an hour / 40 mins on the boat, and to walk up to Ambleside village from the dock is about a 20 mins brisk walk away (you can also get a bus)- so, if you're pushed on time just keep this in mind! We trekked on up on foot once we'd docked and headed for Ambleside waterfall, which is through the town and up a steady hill. I'm so glad we made the effort to explore it as the town was beautifully quaint, chocolate box style cottages and gift shops. 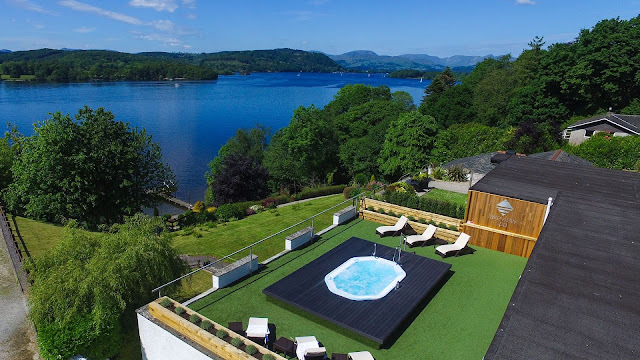 Windermere would be the perfect town to explore over Christmas, I can imagine the lake is stunning in winter - Beech Hill would make a great place to stay (think of the sunset in that Jacuzzi!). If there are any must-see places you'd recommend in the Lakes, pleeease let me know because I'm desperate to go back! When we got home, we both felt like we'd been away for much longer than two days. To me it felt like nearly a week. 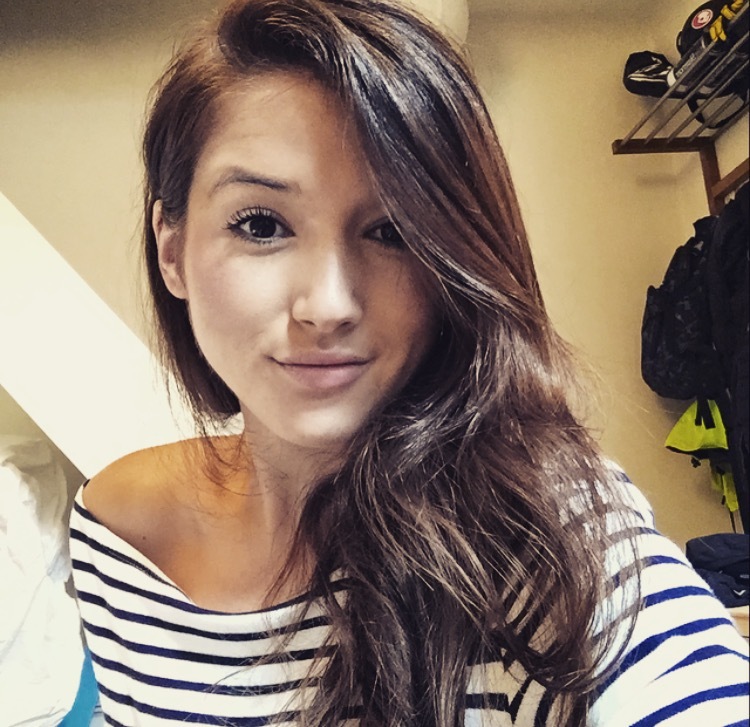 It felt a little contradictory really as we'd done sooo much, packed in seeing and doing so many things but equally, I felt so calm and relaxed, completely chilled out the entire time. It's amazing how getting away from your everyday surroundings can ground you and make you get perspective. 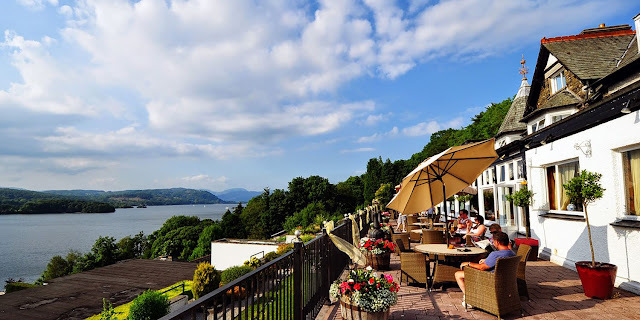 I'd really like to say thank you to both Beech Hill hotel and the Highfield hotel in Keswick for giving me the opportunity to have such a beautiful weekend, I'm really grateful. 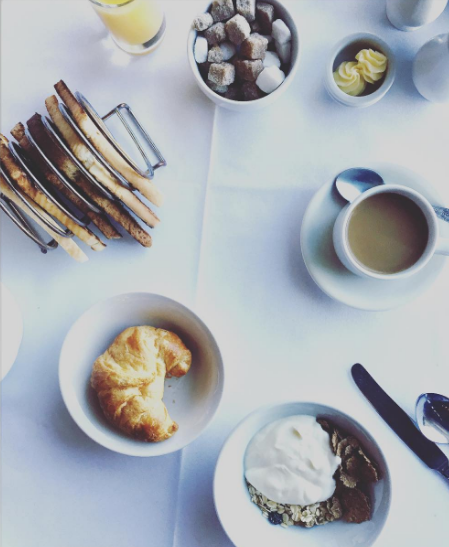 The Beech Hill Hotel & Spa kindly paid for my stay and food, but as ever, thoughts and opinions are my own!